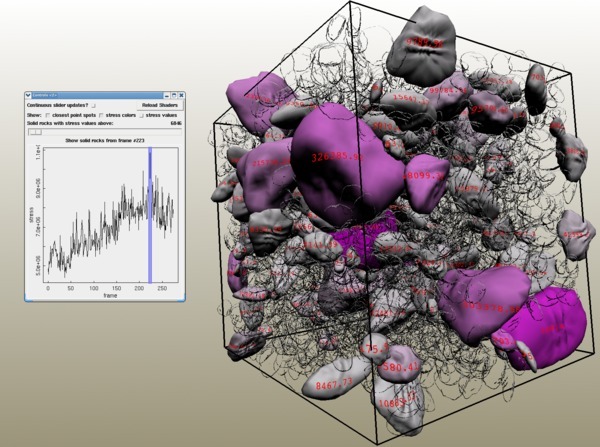 We develop innovative tools and techniques for scientific visualization and high performance computing to advance measurement science. The group develops novel algorithms and implementations for parallel and distributed computation in a variety of hardware environments. Researchers create innovative techniques for immersive scientific visualization in a variety of local and distributed hardware environments. They also develop and utilize techniques and tools of mathematical analysis, parallel and distributed computing, and visualization to improve measurement science, including the extension of traditional measurement science to the virtual world. Lastly, the group contributes to the development of scientific applications at NIST through multidisciplinary collaborative projects.